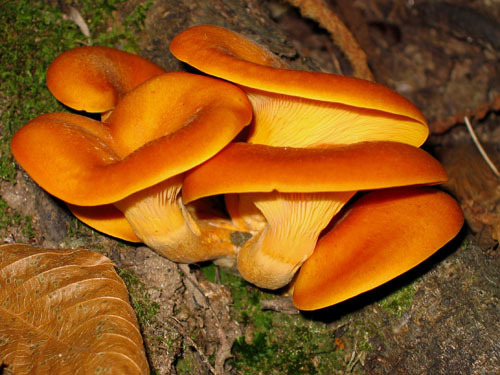 Cap up to 10 cm, depressed to funnel-shaped, orange to vivid orange, sometimes spotted coppery or brownish, sometimes in very old fruibodies entirely brown; cap margin often splitting. 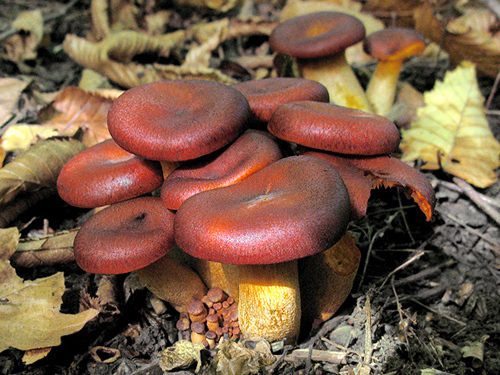 Stipe usually tapering towards the base, concolorous. 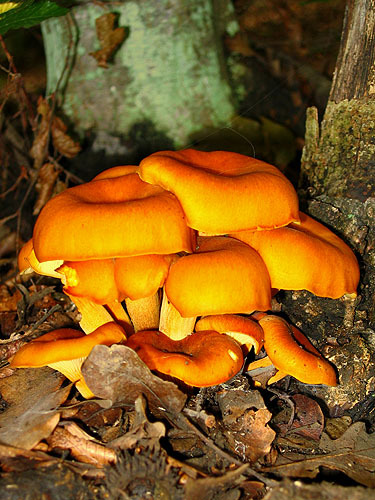 Flesh yellow, unchanging when exposed to air. 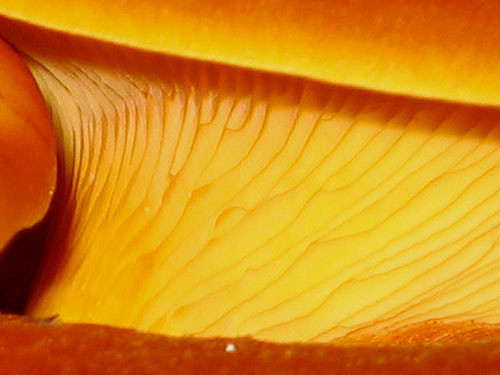 Gills orange, strongly deccurrent (running down the stipe). Smell not distinctive. Taste not distinctive. Spores 5–6 × 4.5–5 μm. Habitat. In broadleaf and mixed forests, tufted on stumps of deciduous trees, most often oaks (Quercus) or beech (Fagus). Distribution. Widespread in Europe, but likely more southern species.